Are you considering opening an Etsy shop? Or have you already launched one of your own? 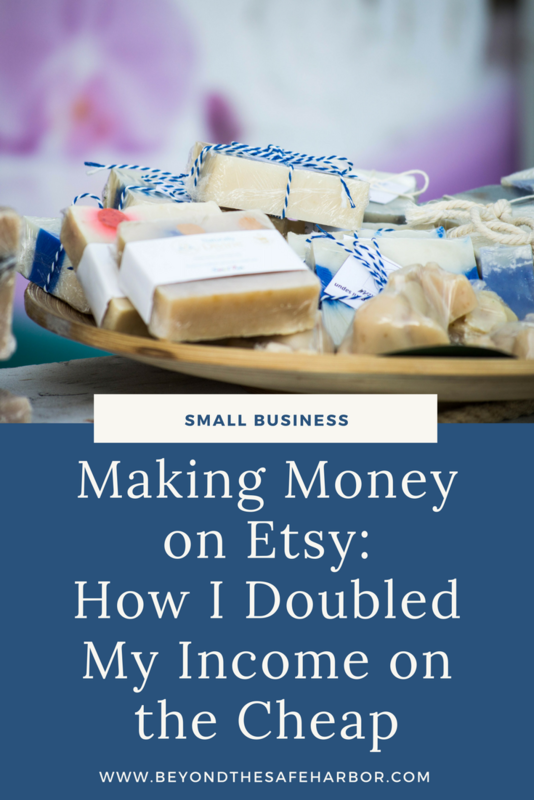 Making money on Etsy isn’t always easy, as I’ve learned from spending the last two years as a seller. If you’ve been following my blog, you may have seen that I’ve published a few posts about selling on Etsy. The first, Considering Selling on Etsy? What You Need to Know provides an overview of selling on the platform. The second, How to Start Selling on Etsy Successfully, covers the key steps to take in building a successful shop from the ground up. For today’s post, I’ll be going deeper on what specific strategies I put in place to grow my business and take it to the next level. As I’ve shared before, I left my corporate job in January 2017 to pursue my side hustles full-time. 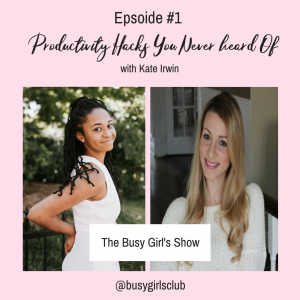 At the time, my biggest income driver was my Etsy shop Kate Lauren Design and I chose to focus on it first. I knew that if I was able to tweak a few things and grow my shop income, it would be a pretty quick win and I’d be able to benefit from the higher earnings on an ongoing basis. Etsy pays sellers via direct deposit on a weekly basis, so there is an element of almost-instant gratification when it comes to shop growth paying off. This was added incentive for me to put the right strategies in place and act on them. Average monthly shop views are up 71% year over year. I’ve also more than doubled my Instagram followers which has been valuable given so much of my traffic is driven by social media. The incredible thing is that I barely spent any money to get these results. They were the result of analysis, strategic work, and low-cost promotion. 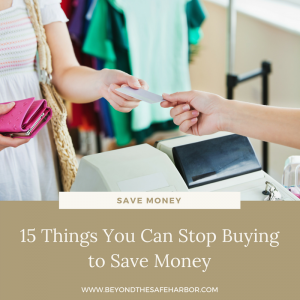 Where I did spend money, it was in sampling products or offering them at a large discount which was far less costly than spending money on traditional advertising. Without further ado, let’s get into how I’ve been able to double my income. These ten key strategies have the potential to really take your business to the next level! The first step I took was to take stock of my shop‘s current situation. There are many different frameworks and approaches, but I chose to do a quick SWOT analysis. For those of you who aren’t familiar with the term, it stands for: Srengths, Weaknesses, Opportunities, and Threats. (My first year Introduction to Business professor would be so proud!) And I have an entire blog post that walks you through how to do your own – read it here! While I had a large and broad product line, I was sometimes slow to launch new seasonal releases. While other shops would launch Christmas kits in September, for example, mine would often hit the shop in November. I was reactive and there was no consistency or schedule to my new releases. This was an area I saw as having an opportunity for better structure and planning. I investigated selling my products through other channels like eBay, Amazon Handmade, my own website (like Shopify), and craft shows, but it didn’t seem like they would have a strong return on investment. Etsy is one of the biggest marketplaces for my category (planner stickers) so my target shopper is already on the platform. The cost and time it would take to set up on another platform didn’t seem as effective as pursuing growth within Etsy. I decided not to focus on this further in the short term. As I mentioned in my SWOT analysis, my pricing was in good shape. It’s competitive for the category, aligned to my offerings and quality, and the pricing of items within the shop makes sense. I chose not to focus on this area. This was my biggest area of opportunity. People who shopped at Kate Lauren Design loved it, but most people hadn’t heard of it. Getting my products on the radar of my target market would be critical. In addition, planning is an ongoing hobby, and people often repurchase the same stickers over and over, or at least similar stickers from the same shops. 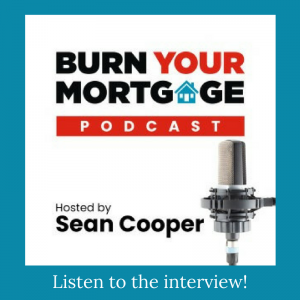 Reaching a broader audience and having them coming back to shop again could make a big impact on my income on an ongoing basis. I decided to make promotion one of my key areas of focus. With this analysis in hand, I was ready to create and implement my strategy. Going into this exercise, I had a pretty good sense of some of the levers I wanted to pull, so it was pretty easy to begin sketching things out. The key was to make sure I was prioritizing the right tactics versus just gravitating towards what I thought would be easiest or most intuitive to do. Being your own boss has the drawback of fewer checks and balances, so I had to be as objective as possible in setting my plan. Since many of my strategies address more than one key issue/opportunity, I’ll be sharing the strategies I implemented in order of impact (and therefore, priority!) Given the number, I’ll touch on each one briefly but would be happy to publish a follow-up post in the future going into them in more detail. In the past, I ran one or two sales per month but other than that, my shop was pretty stagnant. This meant I didn’t have much to talk about on social media and shoppers didn’t have a compelling reason to visit my shop on an ongoing basis. I decided to create a promotional calendar that would run consistently to create “news” to share, a reason to shop, and a sense of freshness around my offerings. Every Monday, I send an email to my email list who I affectionately refer to as my “VIPs” (Very Important Planners). It covers everything that’s coming to the shop that week, including sneak peeks and planning tips. My VIPs are typically my best, most repeat customers and building a relationship with them through these updates has been wonderful. Every Tuesday, I offer a few sheets for the low price of $2USD. This makes them up to 50% off which gives shoppers a great opportunity to stock up! While I started out just offering a random selection of 10 sheets every week, that’s changed. Now I try to create a theme around the discounted sheets. For example, one week I’ll discount several sports-related stickers and the next week it may be weekend banners. Every Thursday, I release at least 6 new sheets or kits. This is in time for the weekend as many people shop Friday through Sunday which is also when sales tend to fall. This also caters to the need for a more structured approach to new releases. In the background, I also plan out my new releases ahead of time to ensure I’m able to take full advantage of seasonal trends. Every Friday, I offer a freebie with every order. “Freebie Friday” normally entails a small sheet of decorative stickers, but it changes every week. This is an incentive for customers to shop (especially the new releases!) and given I add one to every Friday order, it’s a surprise and delight for customers who aren’t aware of the promotion and therefore aren’t expecting it. I touched on this above, but I wanted to stress it again. As a business owner, your email list is arguably one of your biggest assets and one to foster and grow. I only started building my list a few months ago, but it’s one of the best things I’ve done. It enables me to build a relationship with my customers in a way social media can’t always achieve. I debated putting Group Sales at the top since it’s had a big impact on my earnings, but given it’s less sustainable, I decided not to. This year, I applied to almost every group sale I could. They’re a great opportunity to network with other shop owners, get your shop out there to prospective customers, and drive a lot of revenue through discounted prices. Since customers tend to repurchase from their favourite shops, it drives trial that can turn into a long term relationship. To combat the fact that my shipping prices were higher than some other shops, I began offering flat rate shipping. This cuts into my shipping revenue, but increases “basket building”: customers purchasing more items. To help promote my shop, promotions, and sales, I “hired” a PR team for my shop. These are pretty common in the planning community, where planners promote shops in exchange for free product. I initially chose four lovely ladies to be on the team on a trial basis, and after a few months narrowed it down to two who are helping out on an ongoing basis. It’s been great to get their feedback and input on things and to get extra voices talking about my products! As I mentioned above, I’ve received some fantastic reviews from customers. I’ve been highlighting some of them on social media to recognize these amazing customers and highlight some of their favourite things about the shop. My product descriptions used to be short and inconsistent from item to item. So I created a standard, thorough template that I now use for all new products. I also went back to some of my most popular listings and updated them with the new format. This gives customers a lot of information, cutting down on questions and making their shopping decisions easier. To get my products in more people’s hands, I sent sampler sheets to several shops to include in kits and orders. So far, it hasn’t had a big impact, so I’m not sure how often I’ll continue to offer them. Nonetheless, it was a worthwhile promotion to try and may work better for other categories. Implementing these strategies has made a big difference in my shop income. By doing the right analysis, strategic planning, and implementation, you can make a big impact without spending a lot of money. Looking for more ideas? My post How to Promote Your Etsy Shop: 10 Affordable Ways has you covered. And don’t forget to check out my post How to Conduct a SWOT Analysis for Your Business for guidance on doing this analysis for your own business, including a free printable! Leave me a comment below and let me know what questions you have about selling on Etsy and any suggestions for future posts.